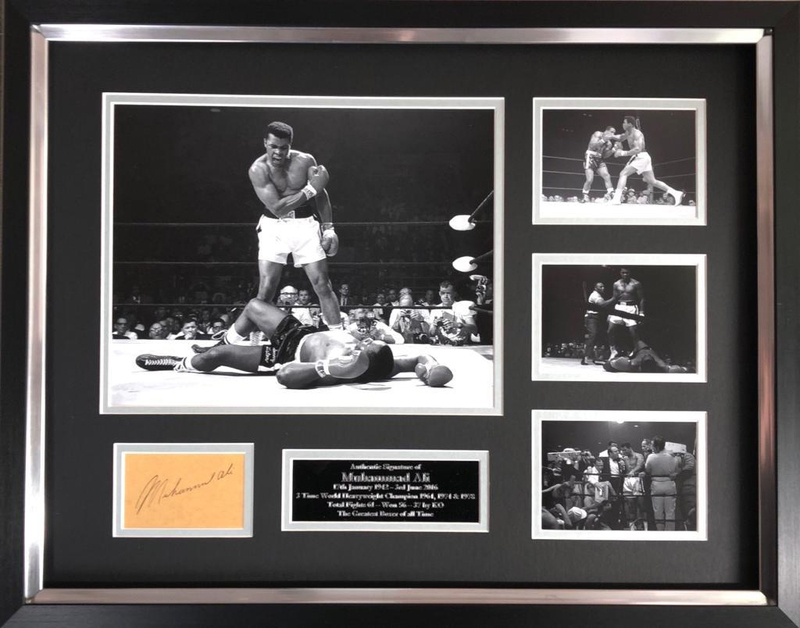 The item you are purchasing is a framed display of Muhammad Ali, which has been personally HAND signed by the man himself and The Greatest Fighter of all time Muhammad Ali. This professionally framed and double mounted display consists of a main 12x8 photo followed by three smaller 5x4 photos. The overall size of this item is 24x19 and finished with Perspex. All measurements are approximate. · AFTAL Approved Dealer #005 & UACC Registered Dealer #260. · Winner of the AFTAL "IN PERSON" Dealer Award 2011. · Certificate Of Authenticity (COA) Registered Online. · Items posted Royal Mail Signed For and require a signature. · The majority of the autographs we sell are obtained "In Person". · We collect autographs all over the world. · We DO NOT deal in through the mail autographs. · The item in this listing is the item you will receive. · This item is guaranteed authentic and is NOT a preprint or a copy. If you have any questions please email us at enquiries@behindthescenes.org.uk or call the head office on 01322 290394.